I don't regret bringing my son into the world. I don't regret anything about him...save one. I wish I would've spent more time with him. 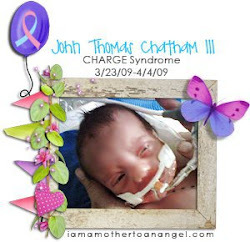 He was so fragile that the staff at the hospital had to get him back to homeostasis when we left due to the exposure of stimulus he received from our visits. This worried us so we limited our time with him so that he would rest and get better, the way we were made to believe that he would. I ached for him so much when we were apart yet felt sorrow at the sight of his fragile body. I loved, and still love, him dearly. I longed for the time when we could spend time with him when he was on the mend but at that time he needed his strength, how ever little there was of it. It makes me feel like a selfish, awful mother, a woman to focused on the hope of a healthy future for him only to realize that that time was fleeting. I should have cherished the time we had with him no matter what was to occur. He needed me and I was not there. We were fooled in regards to his health yet my presence should have been there to comfort him and at least see him through the hard days. I cannot fault my husband, as he said, "My place is with you." 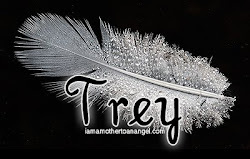 It killed him to see his son in that state too, but his tenderness towards Trey showed his love. Hind sight is 20/20 but the most painful reminder to me of the time I squandered. I might have been able to bear being there when he passed had I spent more time with him, addicted to holding him in my arms. I could not stomach it. I am a coward. It haunts my heart, especially at this time of year. I imagine how it must have looked at the NICU in the hospital he was born in, unless the nurses knew too. I pray they understood that we wanted him to be in the best of health for his transfer. He became slightly unstable during our visits, not so much as he was in danger, just his excitement for us to be there. I venture to guess how he would've gradually calmed and the reactions he was having would've been less severe if I had spent more time with him. I will never know. I never gave it a chance. I never gave him a chance. Still, he was my child and he needed me and I was not there. I should've been there to calm him in his excitement and to encourage him to rest. I was not there to do that. Was it merely my heart refusing t accept the inevitable? That is of no consequence, I should have been there for whatever time I could, to take advantage of the short time I had with my son, even if we were led to believe he was on the mend. I know he understands and has no need to forgive. I know he knows that I will never forgive myself for my selfishness, though he wishes I would. I will never forgive myself, it is unacceptable for me as a mother. I failed him when he needed me the most. I will forever be ashamed of this. That time was precious, I squandered it. I am so sorry son. 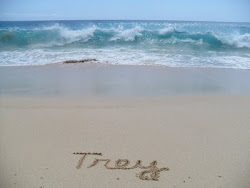 Trey, I can't take it back, though I wish I could. I can't give it to you to hold and keep away from my heart. You have always had too much on your tiny shoulders. 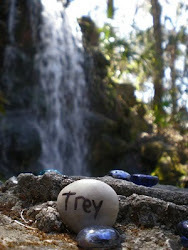 I hold it like a talisman, a scarlet letter, to remind me how precious time is, and to never take it for granted again. 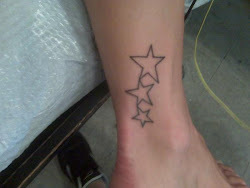 Still, this is my one regret and I will never forget it or forgive it. Again, I am sorry my sweet son. A grieving mom’s thoughtful gesture for her toddler is prompting tears and an outpouring of support from parents who have lost a child. 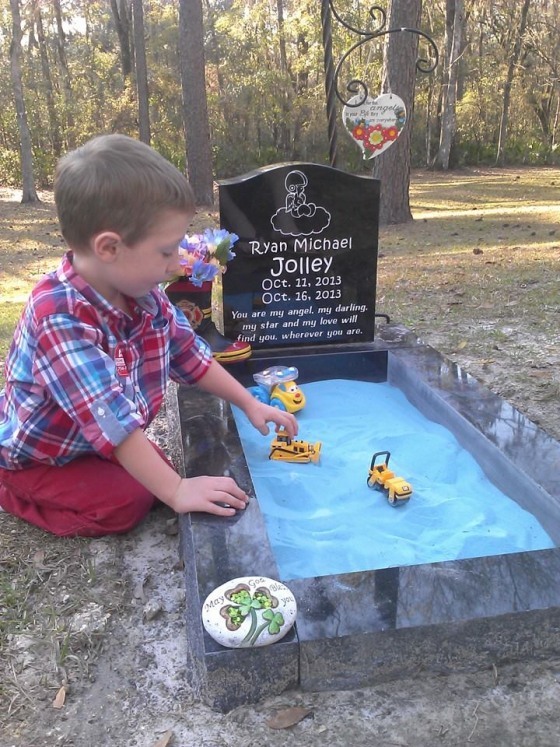 Ashlee Hammac, who lives in Lake City, Fla., decided to add a sandbox to the grave site of her baby boy so that her older son, Tucker, would be more comfortable visiting the resting place. Ryan was born last October, one day after Hammac’s birthday. When he arrived, Ryan didn't cry and he wasn't breathing. Doctors told Hammac her placenta had ruptured and a team of nurses whisked the baby away before she got a chance to see what he looked like. Doctors finally got Ryan's heart to beat, but the little boy was suffering from severe hypoxic ischemic encephalopathy (HIE), a condition in which the brain does not receive enough oxygen. Ryan had no brain activity recorded at any time after he was born, Hammac said. He died five days later. She posted a photo of Tucker visiting Ryan’s resting place on her Facebook page to show her family. Her mom then allowed a support group to post the picture and the response was overwhelming. Almost 50,000 people have shared the photo on Facebook and 175,000 have liked it. Hammac had mixed emotions at first about the image becoming so public, but after getting lots of support for her decision and her charity, which raises awareness of HIE, the photo “has felt like a blessing,” she said. While the photo may strike some as odd, it actually shows something very healthy, said Robin F. Goodman, a psychologist specializing in bereavement issues, She praised Hammac for being open and honest about her baby’s passing and for acclimating her older son to the idea of life and death. 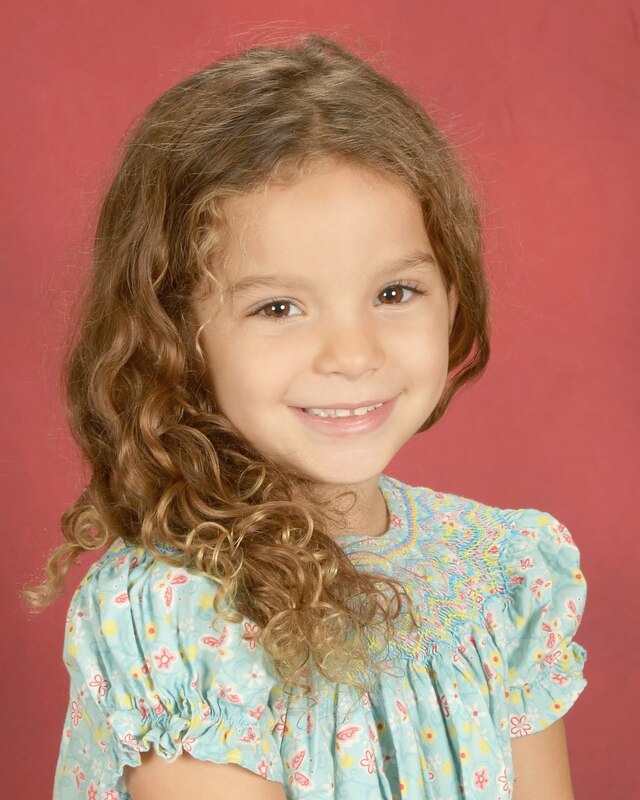 Young children like Tucker don’t fully understand death and are reacting to the environment around them and the emotions of their parents, Goodman said. It’s not until age 8 or 9 that kids grasp the concept of death. They also grieve and mourn in their own ways. A toddler, upset that something is different, may regress and have bathroom accidents or tantrums, Goodman said. School-age kids may feel sad, angry, lonely, and be worried the death is their fault or feel scared that somebody else will die. Teens may try hard not to show their feelings, become more isolated or act out with drugs or alcohol. For more resources about helping kids cope with grief, visit The National Child Traumatic Stress Network. I love that your my son and my first born. I love your name, your Daddy's namesake. I love how you were born at the start of Spring. I love your sweet little face, even though I did not see it through the tubes. I love your blue eyes that you opened for me and let me take a picture. I love your tiny hands and fingers that your wrapped around mine. I love your soft and skin and that I got to caress them. I love your long torso and short legs, just like your Daddy's. I love how your heart rate when up when we were near even though it worried me. I love your dark soft hair which would've surely had curls. I love all the time we were blessed to spend with you no matter how hard it sometimes was. I love the way you were peaceful when we read, sang or talked to you. I love the way you felt in my arms. I love the way you settled into your Daddy's embrace. I love how you enjoyed your first bath. I love you copping an attitude on the ride to the children's hospital. I love how serene you looked while sleeping. I love your stubby little nose that I gave Eskimo Kisses to. I love the proof that you were alive in the beeping machines. I love how you waited for us to be ready to let you go. I love your determination to live despite the odds. I love and strive to have your level of bravery. I love that you listened to me and went home to Heaven. I love how you inspire me and so many others. I love how happy you make me when I think of you. I love the tears I cry for you as they reflect my love for you. I love being able to talk to you and feeling that you are truly there. I love feeling your kisses in the wind. I love feeling you nearby. I love knowing that you watch over your sister. I love it that she is starting to know and love you the way we do. I love hearing your name from everyone who loves you. 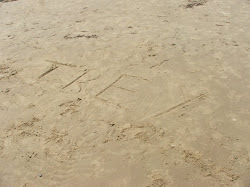 I love your many nicknames like Trey-Bay and Trouper. I love the songs that remind me of you even though they are sometimes hard to get through. I love that you share an Angel Date with my hero Martin Luther King Jr. I love saying that I have two children even though you are only with us in spirit. I love reaching out to other Angel Parents as a part of your legacy. I love doing service projects in your name. I love that you were cared for at Children's Healthcare with dignity and respect. I love that you fought for life without us knowing how sick you were. I love that you were knew to be born early so that you would be safer. I love thinking of you in Heaven as the age you actually are. I love that you get to be with all of the people I love in Heaven, especially Mucca. 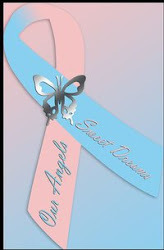 I love the thought of you helping other Angel Babies that enter Heaven's Playground. I love that there are so many things to love about you that it would take me forever to list them. I love you to infinity and beyond my dear son, always and forever. "These are the days I'll remember" sang Natalie Merchant and the lyrics are never as true as at this time of the year. 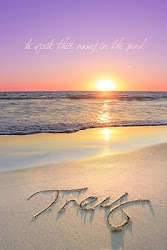 After my husband's birthday on February 23, the wait begins. The wait for these days to be over. The wait for these days not to bring back so many hard memories. The wait for the pain not to creep back. The wait until I can hold him Heaven. The dates leading up to anniversary of being admitted into the have faded from my memory but the events did not. 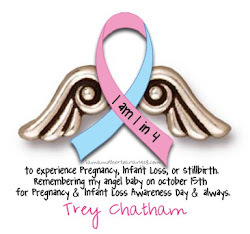 At this time 5 years ago, the doctors were concerned about how much fluid I was gaining and making appointments for me to get Trey's heart scanned. It was terrifying to know that ym first born could be in trouble and my health was also at risk. 5 years...it's hard to believe but these days of waiting confirm it. People assume that time heals all wounds, not true when you lose a child. The grief just changes. It changed when we had our daughter. It has recently changed due to the fact that my husband does not want another child so I feel like I am grieving two children instead of one. The tears and sadness don't hit as often, but when they do, they are crippling. I was speaking with my friend, Sophie, who went through the same thing as we did around the same time, same diagnosis, we both agree that the grief that the grief has changed and we aren't sure how we made it this far...but we did. There are always more times of the year that are hard, the holidays, Mother's Day, etc. This Fall is going to be tough, he would have started Kindergarten this year. Seeing all of the bright new faces coming into school will only serve as a reminder of what we missed experiencing with our dear son. Though these days come and go, and are often easier than I imagine, they are nonetheless a part of our grief and at times can be hard to bare. I know that the prayers and thoughts of my loved ones surround me and my husband is always a soft place to land. 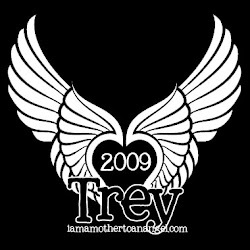 I look to the Heavens and always ask Trey to be with us, come down and hold us when the sadness hits. Hopefully one day, these days will help me heal.